Ground yourself through child's pose and keep exhaling as we twist. Slow down the practice and empty the mind allowing yourself to Pause and Reflect. I love to practice this sequence when I'm low on energy. Grab a bolster and enjoy this lovely supine Yin practice. Learn to rest, not quit yogis! Allow the body to release tension through some of my favorite supine hip openers. Keep letting go of unnecessary stress yogis! This sequence will unwind the whole body giving you a chance to undo what sitting, driving and typing does to you. Enjoy your "me" time! Class will focus on releasing our fears that often present themselves as knots in our psoas, tightening up the hip flexors. Create space yogis. In this class we focus on lengthening the hip flexors and releasing tension in the spine through poses like sphinx and seal. Keep letting go yogis. Release the stresses of life and reset yourself. In this two week program, we will take time to relax and restore both body and mind. Our journey together will focus on poses that help release stiffness and tension. Give yourself the gift relaxation. 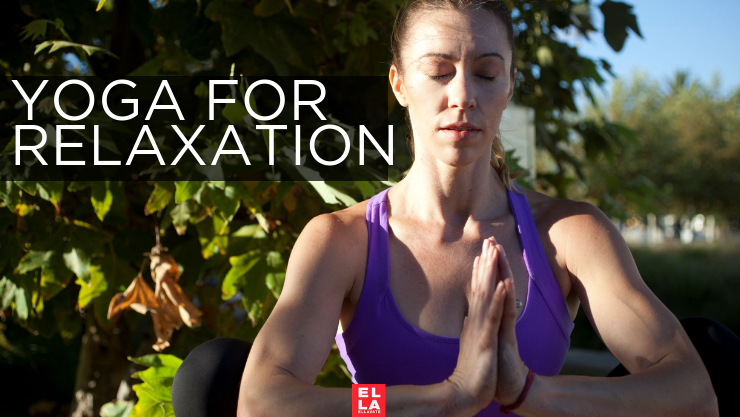 Receive Yoga for Relaxation to your email!